Tolar's absolute favorite holiday is Halloween, hands down. He LOVES to be scared and he loves to dress up in silly costumes, so it's perfect. I, however, hate to be scared and have never been a fan of going to haunted houses (his favorite!). Poor thing, got me to go to haunted houses with him one year (right after we got engaged) and I have never wanted to go again. I was so scared, just thinking about our visit to the Haunted Forest makes me nervous. 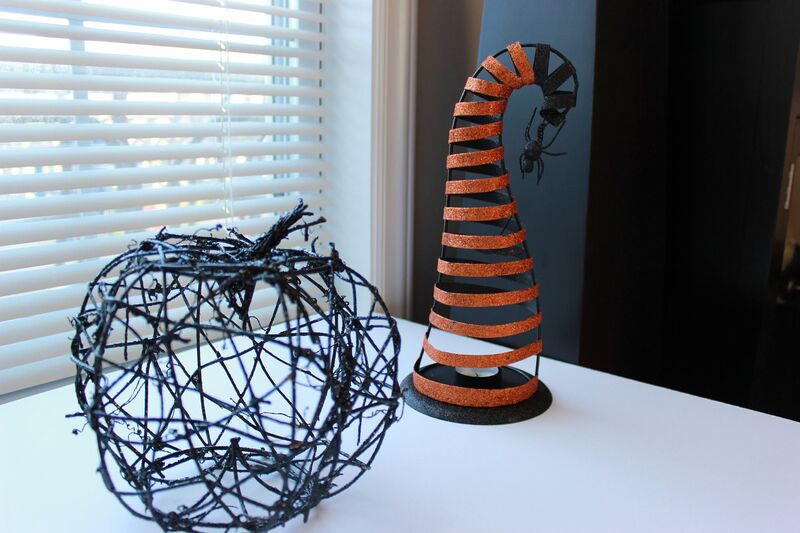 And I am sad to say, that because I immediately associate haunted houses with Halloween, I haven't really gotten into decorating. Until this year!!!! 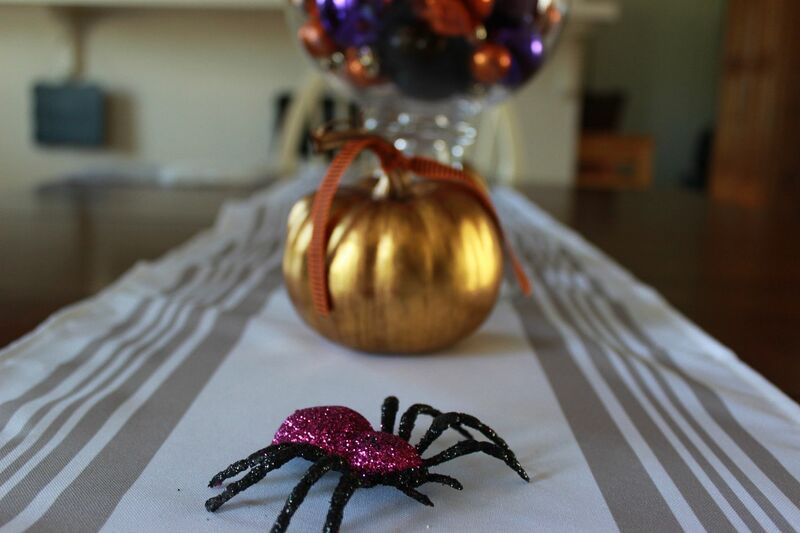 I started to think how many sacrifices Tolar makes for us me and realized I wanted to Halloween-ize our house! 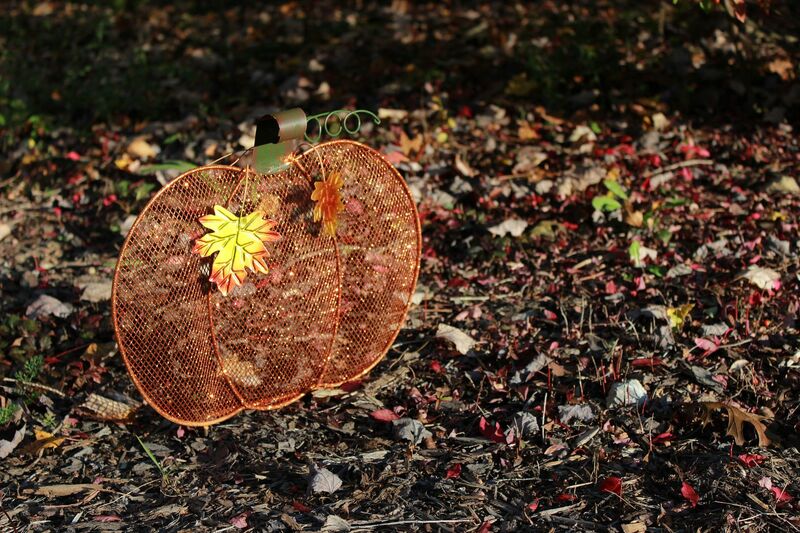 I wanted to see him smile BIG around his favorite holiday. 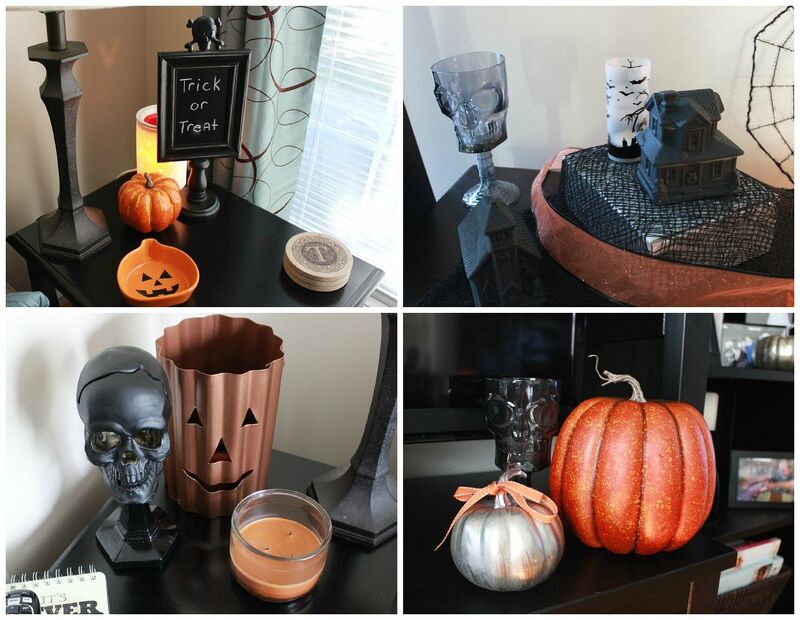 So Michael's, the Dollar Tree and Wal-Mart became my best friends (Hint to those still wanting to decorate: Michael's is STILL running a HUGE sale on their Halloween decor so get over there pronto!). And I'm really glad I decided to decorate because everything is so fun!!! 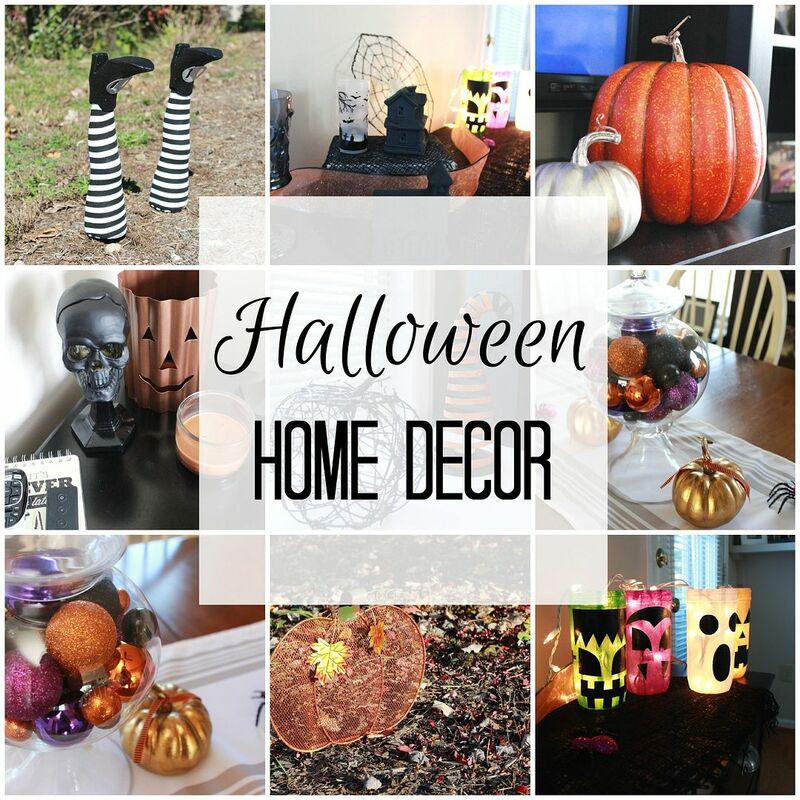 When I first started decor shopping, I showed my friend Liann the types of things I really wanted to buy and she told me I wanted a classy Halloween and she was right! So sticking with my "classy Halloween" theme, I present to you our Halloween decorated house. -Look around your house to see what you already have. 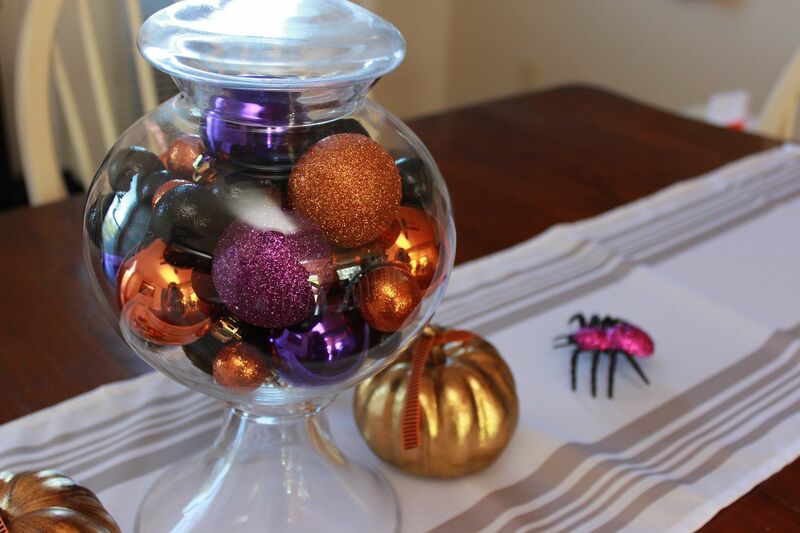 I was able to use ribbons, a few pumpkins and jars that I already owned to add to my decor. 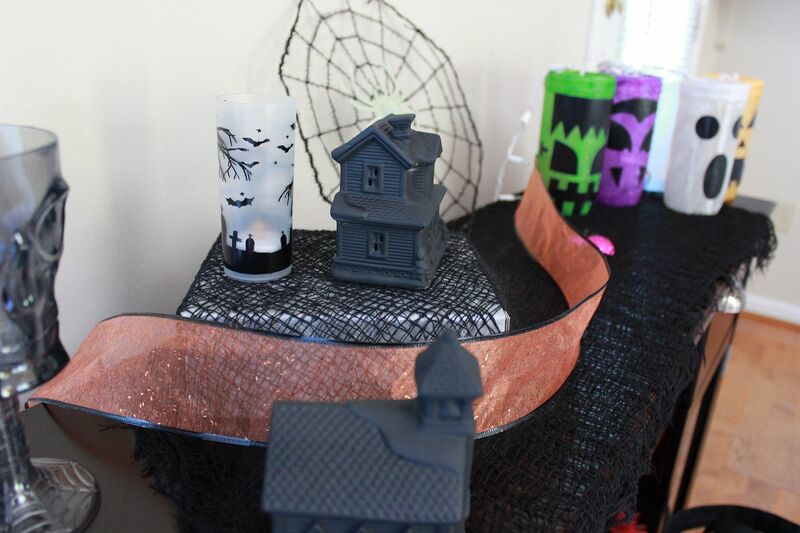 -For the easiest Halloween decor tip ever, go to the Dollar Tree and buy their tiny Christmas houses (which are already out) and spray paint them black for an eerie look. -Levels are your best friend when decorating (for anything!). Having items with different heights helps add a little something extra to your final look. -My all time favorite way to decorate is to fill a glass jar with ornaments, I do this at Christmas all the time. 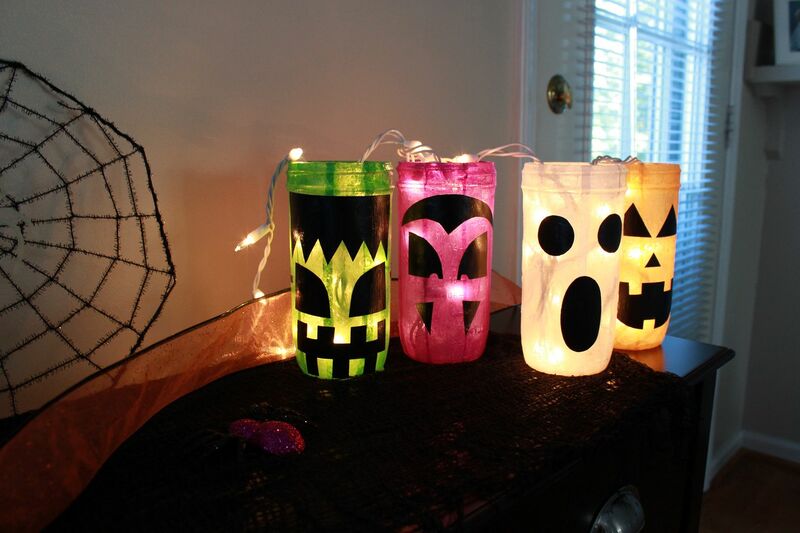 Super easy Halloween Luminary tutorial found here. love the legs in the dirty. 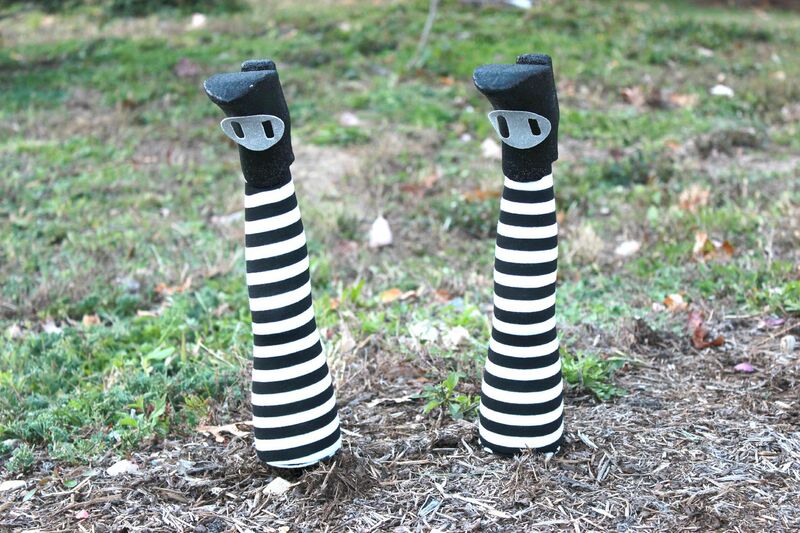 Now that is pretty cool, especially the witch legs! 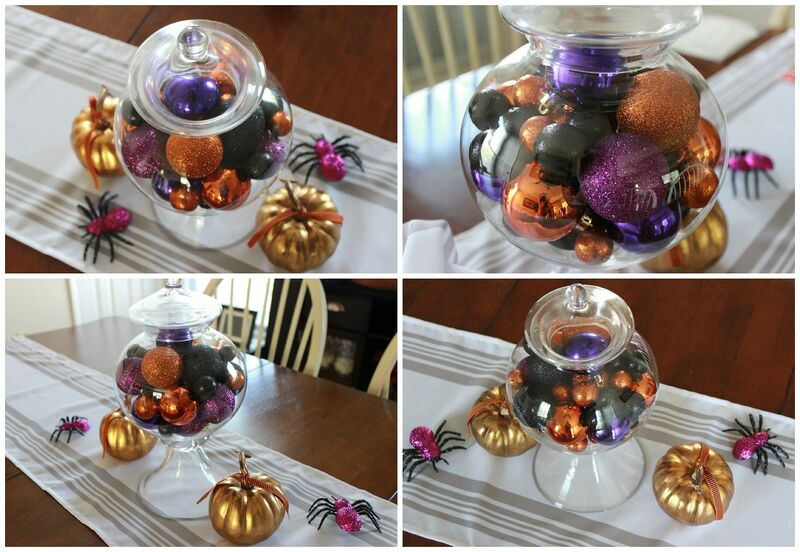 Love the jar with the different size and color balls!